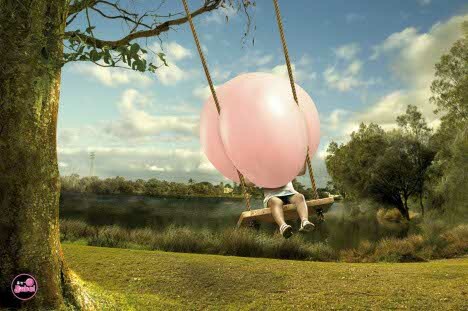 Big Babol, the bubble gum produced by Perfetti Van Melle in Italy, was promoted in this Indonesian print advertising campaign as the Big Bubble. Big Babol is the leading gum in Indonesia and is known among children for its elasticity. And so we have children blowing bubbles that overwhelm a toy car, a playground, an odong, and a swing, hiding the children themselves from view. 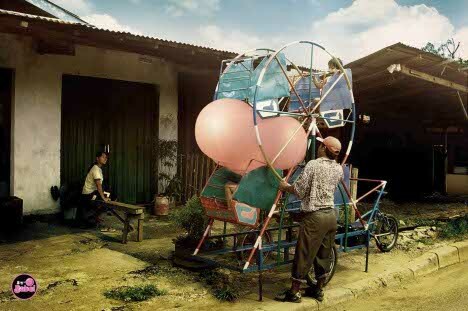 The Big Babol campaign was developed at DraftFCB Jakarta, Indonesia, by creative director Dicky Erlangga, agency producer Urmawel, photographer/art director Cahyo Baskoro, and photographer Willy Koesnaedi. Digital imaging was done by Steven Sahardjo, Marseno and Yudi T.